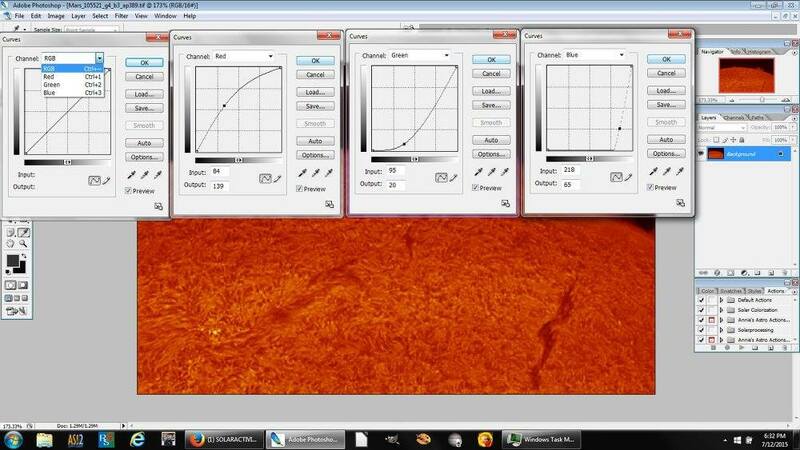 Have you ever wondered how solar imagers get those nice color images of the sun after capturing files with mono cameras? 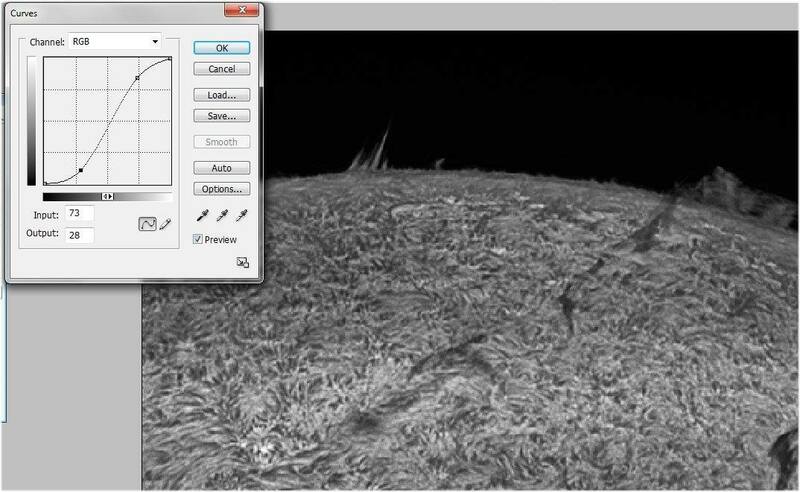 In this tutorial we are going to illustrate some really simple steps you can follow, using screen captures and menu paths so you can successfully retrace the steps followed by solar imagers to turn those dull mono images into the bright, colorful solar images we’ve all come to love so much. I’m using Photoshop CS2. The Photoshop version you are using may be slightly different, but should be similar enough for you to figure out if any modifications to the steps need to be made to successfully colorize your own images. To begin, open your image in Adobe Photoshop and go to the menu path IMAGE > ADJUSTMENTS > CURVES. Notice the grid with the black line running through it (below). Place your cursor over the dot in the center of the line and create a dot that you can drag. If your image looks too dark or too light, move the RGB slider down and to the right (darken) or up and to the (lighten) left. As you move the sliders you will get the feel for how they work. 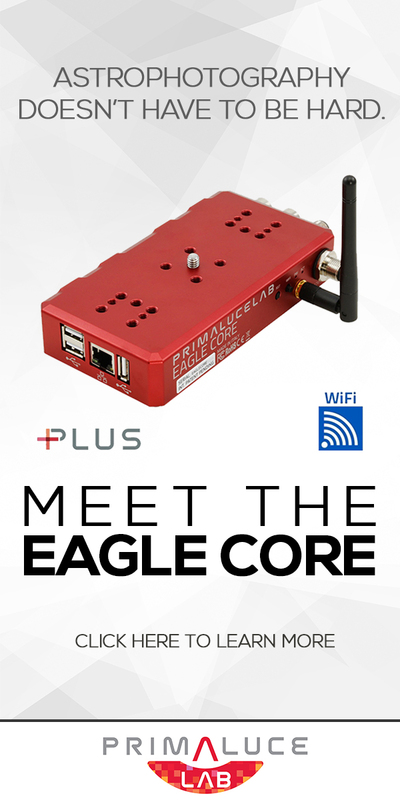 It’s really quite intuitive. Click on the line to add points, and drag points out of the box to delete them. Find the pulldown box labeled Channel and click the down arrow. RGB is selected as default. After clicking you will see RGB, RED, GREEN, and BLUE. To colorize our image we will need to modify the values for each of these color channels. As you change each value you will see the image changing color. It will look really strange at first, but as you continue making refinements it will start looking more in line with what we are accustomed to seeing. When you finish colorizing your image you can save what you’ve done by clicking on the Save… button. A dialog box will appear asking you to name your colorization scheme. Give it a name like “H-Alpha”. Later, if you colorize a Calcium image, you can save it as “Calcium”. 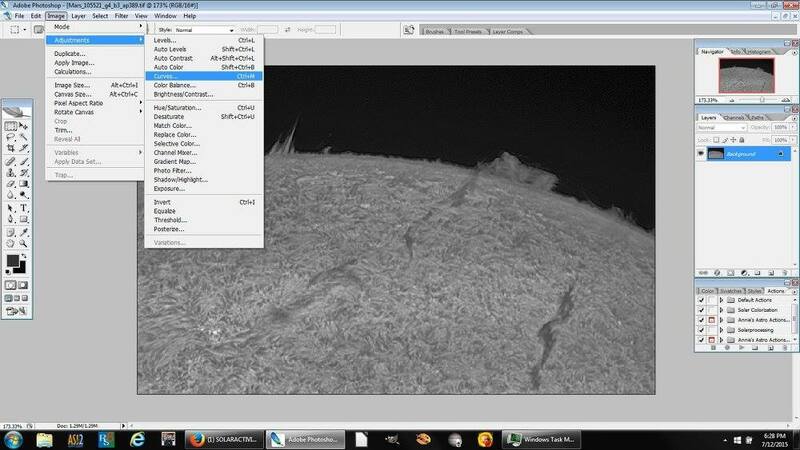 Then, next time you want to colorize an image, simply load the image, follow the menu path Image > Adjustments > Curves. 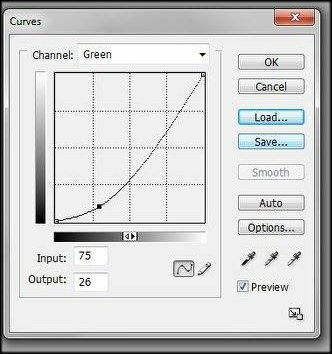 When the Curves dialog box appears, click on the Load… button and select the scheme you wish to use. Select the filename and your colorization scheme will load and all the changes in will be instantly applied. If you don’t like it, make adjustments. Finally, your drab mono image is nicely colorized and you are happy with it’s glowing hues and colors. 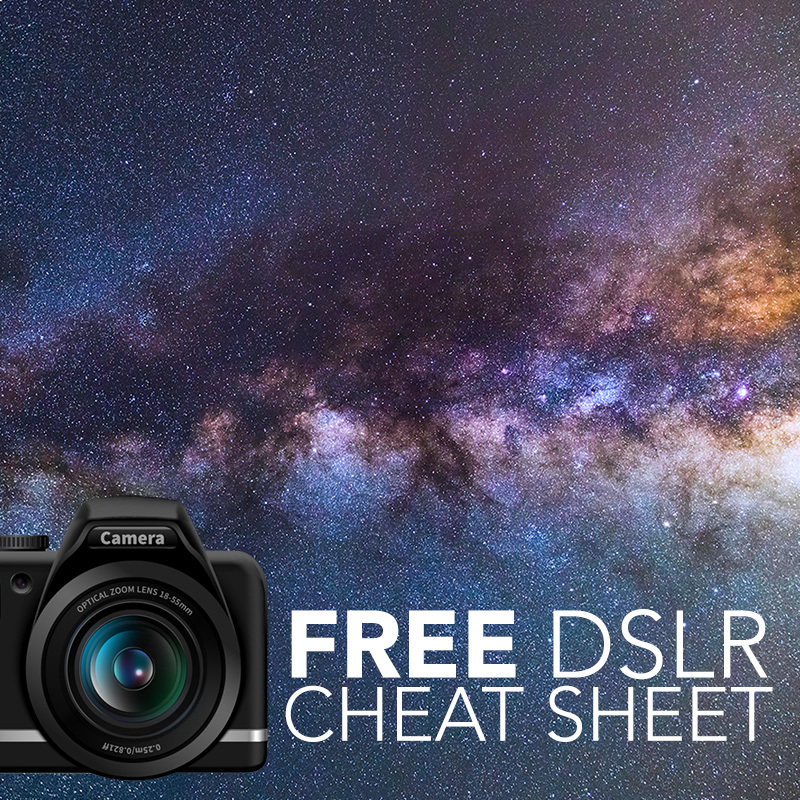 Simply save the image and share it with your friends or print it out and hang it on your wall for all to see! 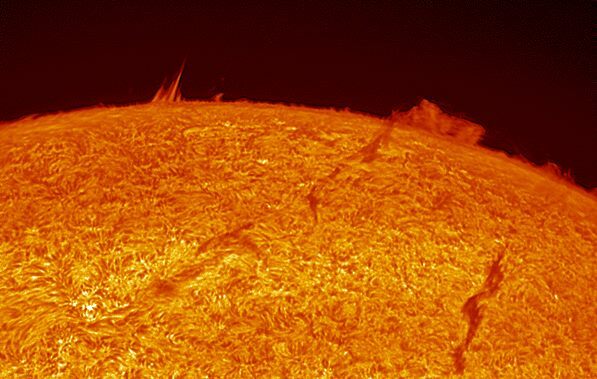 John O’Neal has been an amateur astrophotographer for over 40 years and began solar imaging in 2011. He is co-founder of the Facebook SOLARACTIVITY group, a worldwide social networking and imaging group with 25,000 members. Recently retired, John plans to travel the United States promoting solar outreach and pro-am collaborations. Learn more about John on his website, Heliophotography Shutterfly, or Flickr. Thanks for describing this simple color-addition method. I just joined the SOLARACTIVITY group. Nope, it doesn’t work as advertised. image becomes all uniformly red, and very dark at it! Am I doing something wrong or what? I agree with Antonio exactly. I went through the procedure a few times trying variations but still the dark red as if there is an incorrect value. Hmmm…I was able to get this to work quite nicely with one of my images…but, I’ve also learned that under or overexposed images can have issues. 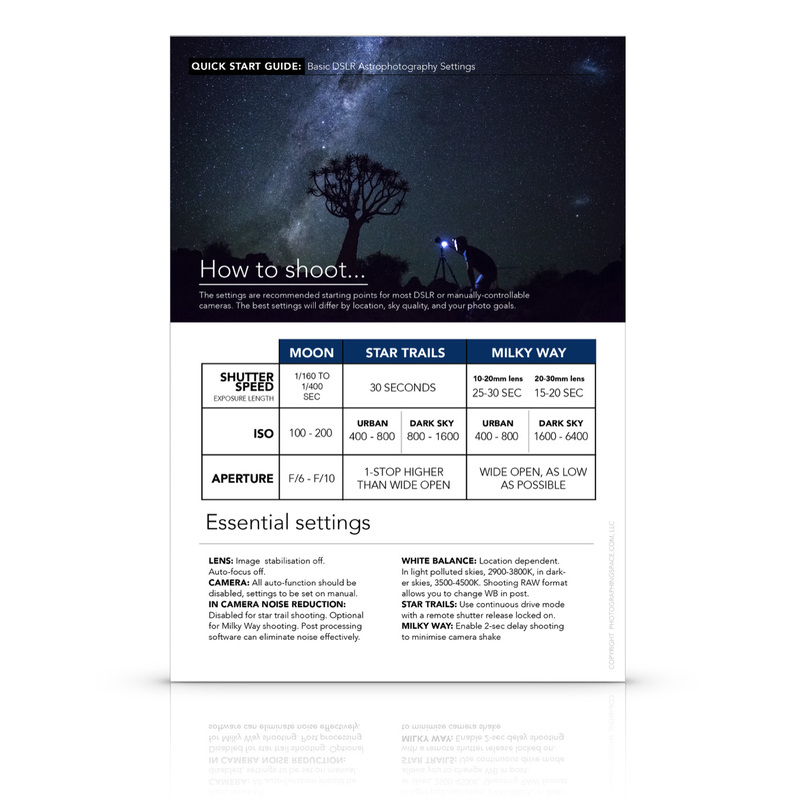 Would you like to send me the image that you’re working with so I can have a look my side? If there is a clarification that could be made in the article, I’d like to get it done! Just make sure you fully desaturate it first (Image->Adjustments->Desaturate), “true monochrome” was a poor choice of words on my part. Regardless, I think I may have figured out what may have went wrong! Make sure you click and create a new curve point somewhere in between the black point and the white point before you enter the values for the red, green, and blue channels! Then you can play around with it and the background will stay black like it should. Is that possibly what happened? This is the key – to make a new point on the curve. If I just enter the values in without a point, the curves are all wrong and the image is very red with no yellow.